Although his name and the June Rebellion may not ring a bell, I’m sure Les Miserables will. The events that this historical figure influenced are in fact pretty well-known and changed the course of French History. There is more though that makes Charles Jeanne is one of my favorite historical people whom I wish more people would know about. The raw emotion Charles Jeanne displayed in his letter that portrayed the fight on the barricade brings history to life before the reader’s eyes. He mentioned “tears of rage” at the injustices he saw, and weeping on the barricade for the future of France. He wrote about his feelings when the king violated the Constitution as "July 1830, a Bourbon dared to violate the Charer, my heart responded with a cry of joy to the cry of sorrow and indignation which all of France gave forth. I saw the birth of the dawn of Liberty" The wording in this entire letter is very vivid whether read in French or English. He mentioned the pain he felt when he was wounded, and the emotional pain when he was betrayed to the enemy troops by somebody he thought he could trust. He would have been a great French Resistance intelligence agent, able to detect by the tone of a spy’s voice that he was the enemy. Those familiar with Les Miserables may see some strong parallels between Charles Jeanne and Enjolras. Although there are some differences between the circumstances of Charles Jeanne, and Enjolras, and their personalities are a bit different, it is a strong possibility that Hugo took the barricade descriptions from Charles Jeanne’s letter. The events depicted are very similar, and Enjolras in the book mentions Charles Jeanne and the church bell he rang. Charles Jeanne devoted his whole life to a simple cause “the dream of my every moment was the liberty of my homeland.” He suffered through a great disappointment- the 1830 Rebellion was supposed to bring about a Republic again, but another king took the throne of France. Louis Phillippe was a bit more “democratic” compared to the other monarchs, but nonetheless was still an authoritarian ruler. The French Monarchy was set up in an authoritarian structure. Before the French Revolution of 1789, it was assumed that the king was "divinely ordained by God" this left very little room for dissent. Napoleon Bonaparte as well had a very strong authoritarian structure, and the kings under the resturation although "more democratic" were still not true democratic rulers. Charles Jeanne mentioned how hopeless he felt upon seeing France again in the hands of a monarch. It is important to note eventually the monarchy did fall and France is a republic today. This did not happen overnight, but happened through the persistance of the people. Whether it was a last ditch charge against the French National Guard (and surprisingly the revolutionaries won that round! ), tearfully refuting the king’s lies in front of everybody, defending the republic at a time others compromised or facing death for a cause- the right of the people to be heard. Charles Jeanne put the idea of the people first, and the ideals of democracy and freedom. He wrote "may I live long enough to see liberty crush beneath her feet the worm eaten thrones of despotism." He was for the right of the people to have a representative government, and opposed to the long tradition of kings doing whatever they pleased. Louis Phillippe was a "constitutional monarch" but France has had a bad history even with constitutional monarchy. They attempted one right before the main French Revolution, but it resulted in a failure for the monarchy to be able to balance their power. Tradition proved stronger than the Constitution, and called for a new form of government. A Republic places checks on the governing authorities. A Constitutional Monarchy in theory has checks, and has worked in some parts of the world. However in French history, a Constitutional Monarchy didn't work. Nope, not tired of the stories yet. This is why I love history, the little stories like this. There was more to it than just a fit of rage, it was deeply symbolic. At the end of the 1830 Rebellion, the victor (our buddy Louis Phillippe) gave specific revolutionaries prestigious honors. Charles Jeanne was one of these revolutionaries. Of course, when Louis Phillippe became a monarch the republicans (including Charles Jeanne) felt like the revolution was stolen from them. Jeanne in front of the king in 1832 trial for the rebellion tore off the medal and hurled it to the king’s feet and had a basic “here I stand!” moment. Pretty awesome right? This actually happened. The whole trail transcript was anything but boring. Revolutionaries were forced to acknowledge the king's view, and Charles Jeanne openly cried for all the lives lost. I thank a few tumblr posts that highlighted this incident as what propelled me to find the actual records and yep, its all true! If you aren’t intrigued yet, this is the story about an idealist who was solely devoted to making France a republic. What is France today? A republic. He was familiar with the French Revolution of 1789, and how it failed allowing Napoleon Bonaparte and later the Bourbons to take the throne again. He fought in the 1830 Rebellion, seeing his own friends die, only to have another king take the throne of France. In 1832 he led a barricade and wrote a detailed and gripping account of the fighting to his sister. This is a factual account but also is full of emotion and life. This account even highlights the unknown and unethical things Louis Phillippe, the “democratic king” of France’s troops did- such as killing people in an apartment building by the barricades because they may have supported the rebellion, or forcing revolutionaries to lie about the events. He stood his ground and remained true to his moral compass. There are many admirable people in history, and Charles Jeanne is one of them. He had his faults, he had his strengths but overall he had a very interesting life and was one of the major leaders of the June Rebellion, the very rebellion depicted in Les Miserables. I hope these little tidbits inspire you to read Charles Jeanne’s letter which is available in English online, and of course the original French. 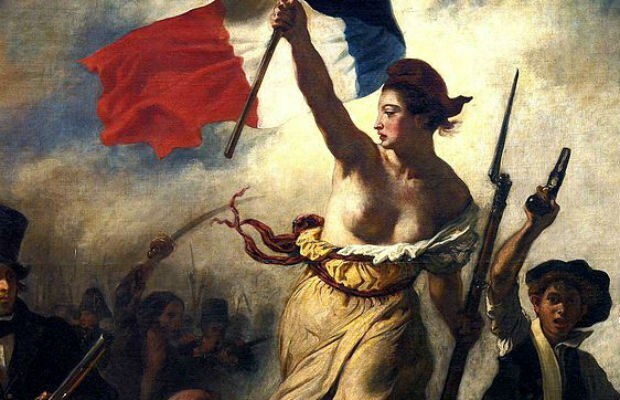 Many people forget about this era of French History, but I think its just as rich and interesting as the main French Revolution. Betrayals, passion, and worldviews clashing all add up to make this period very turbulent and fast-moving for the reader. Charles Jeanne's letter was more than just a good primary source, it was very human revealing the depths of his thoughts and emotions during the fighting. It also displays a sense of justice, and a desire to see all human living in liberty. This is what makes Charles Jeanne one of my favorite historical figures.